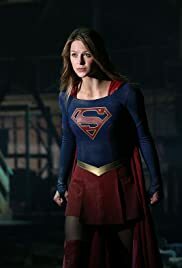 Kara must put doubts aside as she tries to apprehend an escapee from the Kryptonian prison; Cat pressures James for an interview with Supergirl. Astra: Maybe I was wrong about you. Join me, little one. Supergirl: Never call me that again. Is there an award for worst new series? The thrust of many of my TV reviews has been about the astonishing increase in quality of made-for-TV content generally, while truth be told there are now major problems in Hollywood doing decent product that makes money. This trend is clear and obvious -- Vikings, Banshee, Suits, Blacklist, Good Wife ... it is a long list and, given how badly produced TV content was just a decade ago, it is almost a miracle worthy of investigation by a team from Rome. And then we have Supergirl. Seriously, can there be a more obvious example of old vs. new? The scripts are among the worst in recent memory. Not only does little happen in each episode but the dialog that the actors are forced to mouth is ... terrible. Only Calista Flockhart takes the weak script and turns a sow's ear into a silk purse. She is the ONLY reason to watch the show. And BTW there is something not quite right about the producers giving a full episode writing credit to Shuster and Siegal, both of whom have been deceased for almost 20 years...? 20 of 39 people found this review helpful. Was this review helpful to you?